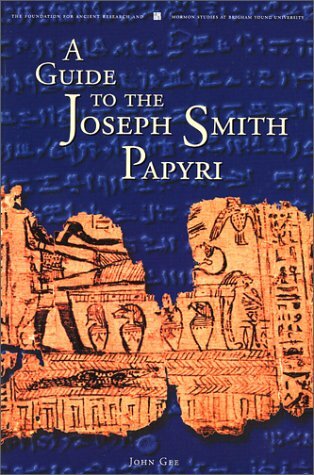 Written by Egyptologist John Gee, this guide reflects not only the latest Egyptological research but also the most recent Latter-day Saint thought about the papyri. A Guide to the Joseph Smith Papyri provides answers to such questions as: What are the Joseph Smith Papyri? What do they look like? What did they contain? Where did the Joseph Smith Papyri come from and what happened to them? What does the Book of Abraham have to do with the Joseph Smith Papyri? What is a Book of Breathings? How does it relate to the Joseph Smith Papyri? What do Latter-day Saints and non-Latter-day Saints think about the papyri? What issues do they agree on? If you have any questions about this product by Foundation for Ancient Research &, contact us by completing and submitting the form below. If you are looking for a specif part number, please include it with your message.